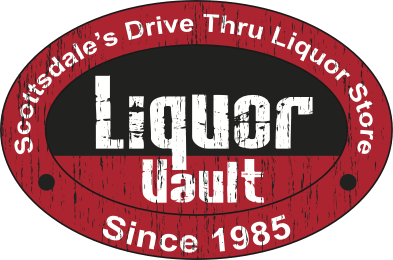 The Liquor Vault has a vast selection of many of the top varietals of wine ranging from $5.00 to $200.00 per bottle. 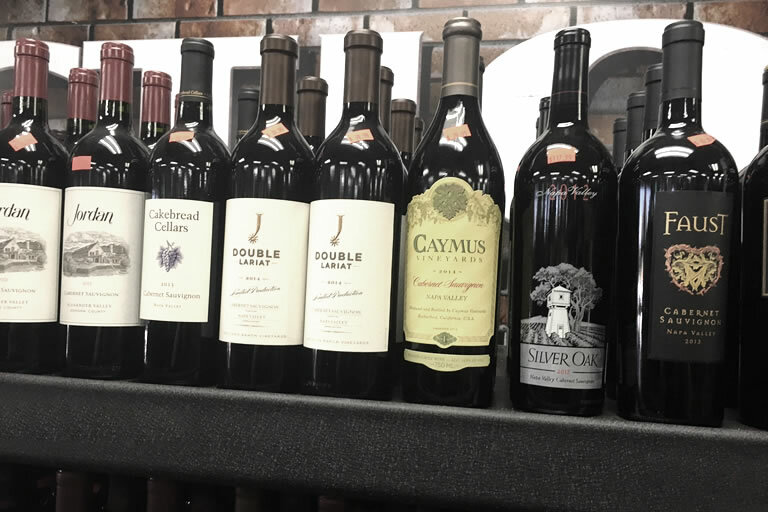 View a sample of some in stock Wines below. Grown most successfully in Italy's Piedmont region, Barbera is quite acidic with full body and light tannins. It is commonly used as a blending wine. Brunello is an offshoot of the Sangiovese grape. It is notable because it is the only grape permitted for Brunello di Montalcino, a rare, expensive, fruity and bold Tuscan red wine. Cabernet Franc is more often blended with other grapes than bottled by itself. Cabernet Franc is light to medium bodied and sometimes made into a wine called Chinon. It is most impressively grown in France's Loire (luWAR) Valley, although it is usually overshadowed by the more popular Cabernet Sauvignon. Cabernet Franc is also grown in California and New York, and is gaining popularity in other regions. Cabernet Sauvignon can be found in many of the wine regions mentioned above. In the Bordeaux region of France, it is considered the noblest grape of all. It is, in fact, the grape that makes fine Bordeaux wines. Cabernet Sauvignon can age well for decades. It is dark purple or ruby in color, medium to full bodied, and has a beautiful array of intense aromas and flavors. Cabernet Sauvignon would be considered a dry red wine and blends well with Sangiovese, Merlot and Shiraz. Grenache is grown in Spain and California, but most notably in the southern Rhone valley of France. It is a very drinkable wine and in the past has been used in several red and rose jug wines in California. However, Grenache is gaining popularity as a fine stand alone grape in many areas. It is also commonly blended with Mourvedre and Sarah. Grenache is medium to full bodied with good structure and raspberry flavor. Malbec is now the grape of Argentina where it thrives in their hot, dry summers. Once important in Bordeaux and the Loire Valley, it is one of the types of red wine grapes losing popularity there. Its acidity can vary and it is frequently blended with other Bordeaux varieties. Merlot has become very popular in the last 10 years. It is one of the more drinkable types of red wine with its low acidity and mellow softness. Merlot is grown widely in many of the regions mentioned above and can be blended, particularly with Cabernet, or stand alone. Merlot has rich flavors of blackberry, plum and cherry. Pinot Noir is a difficult grape to grow, but yields an exceptional wine with great complexity when conditions are correct. It is grown in the Burgundy region of France, in Oregon and in the cooler regions of California. Many California grown Pinot Noir grapes are used for rose style champagnes. It has light to moderate body with deliciously varied aromas and flavors. The signature red wine grape of the Tuscany and Chianti regions, Sangiovese has been produced with little success outside of Italy. A good Sangiovese can be beautiful and complex, with varied aromas and flavors. It is frequently blended with Cabernet. Known as Shiraz in Australia and South Africa and as Syrah in California and France, this wine has low to moderate acidity making it very drinkable. Shiraz/Syrah exhibits wonderful flavors of spice and fruit. Many think the French version is more acidic, therefore better to accompany food than the Australian version. Shiraz/Syrah is blended with Grenache and Cabernet. It is thought that Petit Syrah, which thrives in sunny California, is not related to Syrah. Considered the queen of white wine grapes, Chardonnay is grown widely in many of the regions mentioned above. It is a very versatile grape whose character reflects its growing region and production process. Of all the white wine types, Chardonnay produces the most complex wines in the world. Most chardonnays are full, golden and velvety with hints of fruit, nuts, butter, oak, spice or vanilla and have medium to high acidity. Chenin Blanc has been cultivated for thousands of years in the Loire Valley of France. It is grown widely in California where it is the grape used in many jug wines or inexpensive table wines. Chenin Blanc has higher than average acidity. The character of Chenin Blanc can be difficult to define, but it generally is light and fruity. Literally translated as "spicy", Gewurztraminer is grown primarily in Germany and in the Alsace region of France where the cooler climate allows it to ripen fully. It has a light, crisp acidity and a bold flavor. Known as Pinot Grigio in Italy and the Alsace region of France, and Pinot Gris in the United States, this grape's character will vary depending upon its growing region. European Pinot Grigio tends to be more acidic with less body than its American counterpart. All Pinot Grigio/Gris possess a citrus aroma. Riesling, the most notable white wine grape from Germany, is also grown in France's Alcase region and in New York's Finger Lakes District. It is grown in California and Washington, although with less frequency. Riesling has medium to high acidity and light to medium body with a distinct flowery, fruity aroma. Viognier is grown primarily in the Rhone region of France and in California. It has low to moderate acidity with hints of peach and apricot, and without the flowery aromas of some other white wines. Nearly dry, contains no more than 1.5% sugar. Slightly sweeter, can contain up to 2% sugar. Can contain up to 4% sugar. Just sweet enough, can contain up to 8% sugar. Sweet, can contain up to 10% sugar.